I forgot to publish this post yesterday, but I'm up on Blitsy's blog with a brand new project! 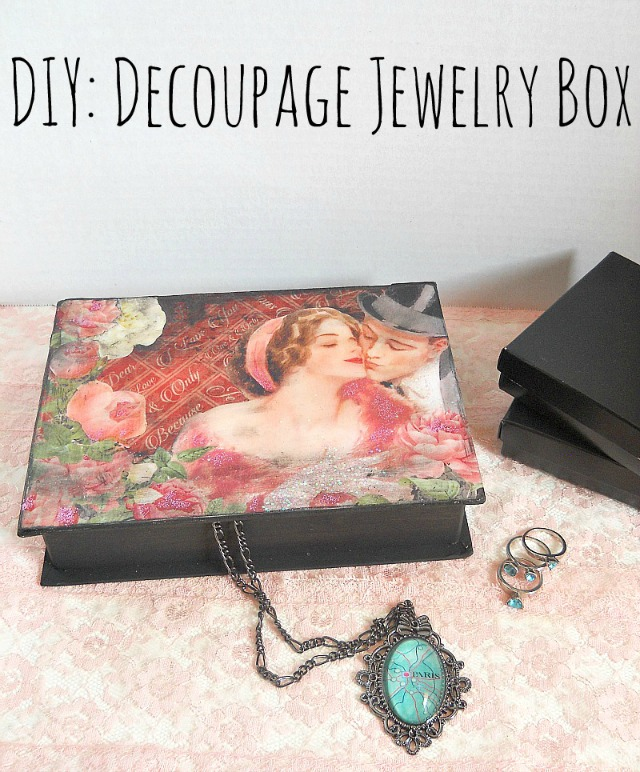 The project that I'm showing you guys how to create, is a really pretty decoupage jewelry box which uses Graphic 45 paper! Now if your not familiar with Graphic 45, they produce scrapbooking papers and craft products which have a vintage look. More specifically, this vintage look captures the feel of the 1920's and 30's! The paper that they produce is perfect for a (wait for it) Valentine's day project! As you may have guessed, this jewelry box has a Valentine's Day feel. Personally, I have no control about when the DIY posts I design for Blitsy goes up, so your getting an early look at this fun project!